Franck Muller pulled out all stops to throw a soiree that was laden with fun and wonderful memories for the Crazy Hours 15th anniversary. Here, we spoke to Franck Muller COO Nicholas Rudaz about the collection as well as brand philosophy. How did the name Crazy Hours come about? The Crazy Hours was born when Franck was attending a rather rigid New Year’s Eve celebration in the Seychelles, where everyone was wearing their fancy dinner wear and was on their best behaviour. Then Franck challenged everyone to jump in the pool in their birthday suit to have some fun and just do things differently. Of course, Franck was the only one who actually did this, and he had a crazy fun time in the pool. The next day, he decided that he wanted to make a watch that broke all the rules of the time telling game; this is how the Crazy Hours was born. The watch is all about seeing things differently, from another perspective. It comes “alive” every hour, so to speak, both seen and physically felt through the motion. It’s an emotional and fun complication animated by the jumping hours. 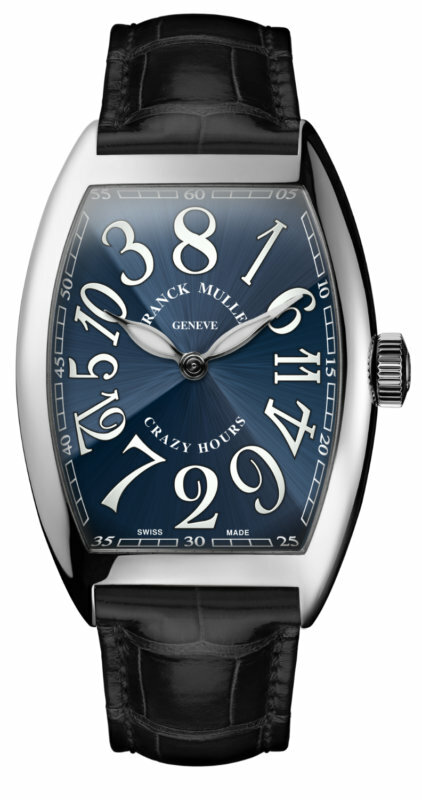 In terms of design, how is Franck Muller different compared to the other watch brands? We have always thrived to be different both in complications and in design. Our watches have a strong DNA, which makes them very recognisable as they stand out from the rest. This is what our clients are looking for. We were the first to do the double-axis tourbillon, the triple-axis tourbillon, the world’s largest tourbillon and the world’s fastest tourbillon. Our numerals are unique in the industry and we also produce one of the world’s most complicated wristwatches, the Aeternitas Mega 4. We also have the Crazy Hours watch, which has its numbers scattered in an unusual way on the dial, for which we recently celebrated its 15th anniversary in Singapore and Kuala Lumpur. The Crazy Hours is absolutely unique in the market and has been an iconic hit for the brand for 15 years. How has watchmaking changed over time? The fundamentals of mathematics involved in watchmaking have not changed with time. They have remained the same for two centuries. What has drastically changed are the tools used in making the watches and in designing them. 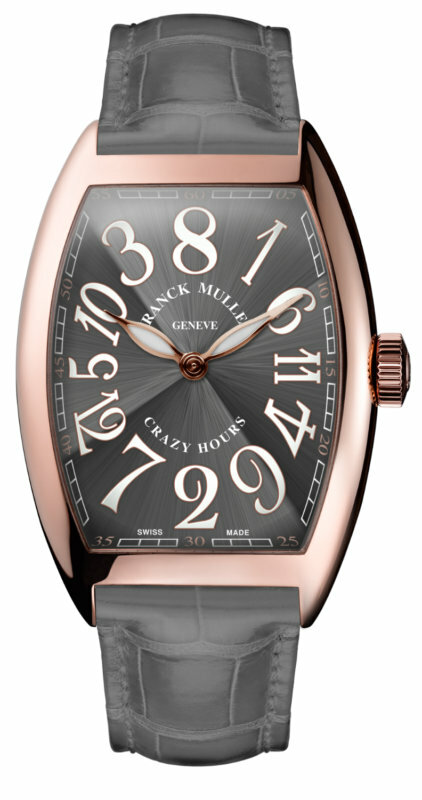 With such new technologies, we at Franck Muller have managed to push the boundaries of watchmaking. How important is it to be relevant to the younger generations? It is extremely important to be relevant to the younger generation. With our new Vanguard case, which is sportier and younger looking, we have managed to break through to a younger clientele. A lot of the younger audience we have are discovering Franck Muller because their parents have been wearing our brand for a generation already. They will be the ones renewing their watch collection for years to come. With social media, we have also been able to reach out to a younger audience. Luxury can be anything that gives someone a certain rush of pleasure. The ultimate luxury is time because it is running out for all of us. It’s our most limited and precious resource. How do you perceive the concept of time? Time is our most precious luxury! That is why it is important to fully live each second that ticks away. 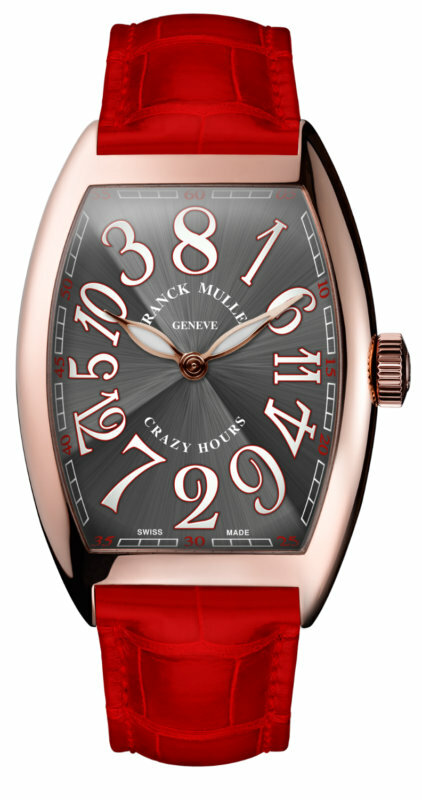 What do you see for the future of Franck Muller? We’re just completing the extension of the Manufacture, a beautiful site endearingly called “Watchland”, where we have built an additional 16,000 sqm of production capacity in order to synergise our operations. It is not an increase in production space, but more of a consolidation of some sites that we wanted to include in our headquarters. Integrating more resources under one roof will make us even more reactive to the markets and will make us more efficient. Franck Muller will continue to thrive in leading the high-end watch market by delivering exceptional designs and complications like we always have. Click through the gallery to get refreshed of the looks of Franck Muller Crazy Hours watches.